MdM Spain has been working in Sierra Leone since 2001. While our first projects were implemented in other districts, since 2006 our efforts were focused in the Northern Region of the country in Koinadugu District. Interventions have been developed to strengthen public health systems, sexual, reproductive and community health, to improve basic health infrastructure and training of health and community workers, and to facilitate public access to safe water, as well as to prevent health crisis and epidemics such as cholera. With the Ebola outbreak, our involvements focused on the preparation of local response in the prevention and control of the virus, detection and isolation of cases; at the same time we have launched a new project in the Moyamba district for the management of a Ebola Treatment Center. Doctors of the World was responsible for the treatment of patients through the creation of an ebola treatment center with the capacity of 100 beds. This project received water and sanitation aids from NGO Solidarité International, the Government of Norway (construction of CTE) and Doctors of the World UK. We have continued to manage the treatment center until November 2015 when the British Department of International Development (DfID) and the Sierra Leone Ministry of Health decreed disinfection and decommissioning. Happening in parallel were activities of community social mobilization, research, monitoring and psychosocial support activities for the patients and victims of Ebola. MdM worked on the preparation of health services in response to the virus, infection prevention and control (IPC) and health education to the people in Koinadugu (about a disease unknown to the public and its prevention, means of transmission and how to combat it). We opened two isolation centers for suspected cases in Kassumpé and Kumala (Koinadugu) and performed psychosocial care for victims, their families and survivors. Today our presence remains in Koinadugu District, promoting maternal mortality reduction and improving the sexual and reproductive health with a focus on gender approach and human rights. Doctors of the World is developing a post-emergency project with British cooperation in Koinadugu District. - We are also implementing a project at the district level that responds to the government policies of Sierra Leone in relation to the standards of infection, prevention and control and its implementation at all points of healthcare at Koinadugu district. It is funded by OFDA (US) and runs as part of a consortium led by International Rescue Comitee IRC. - At this moment we are in the process of developing and funding several projects at district level for the recovery of the public health system, improving the sexual and reproductive health, through financial support from various donors. - Finally, MdM is conducting a project that involves improving sexual and reproductive health in the region of Nieni (the area most affected by Ébola) and Kabala in Koinadugu District, through the strengthening and training of citiziens and reporting channels that the people, especially women, accept institutional health care and go to health centers in Nieni: Yiffin, Alkalia, Fankoya, Sumbaria and Kabala. To achieve the objective, MdM works with: the Ministry of Health in Sierra Leone, DMO Koinadugu, District Health Management Team (DHMT) Koinadugu, and with the District Directorate of Education as project partner. In addition, MdM aims to strengthen the partners that will be implementing activities through the support of a local NGO: Men Agenda for National Development (MAND). Thereby, MdM improves the capabilities of both civil society associations and government institutions, a clear premise of the work of Doctors of the World in all its actions. 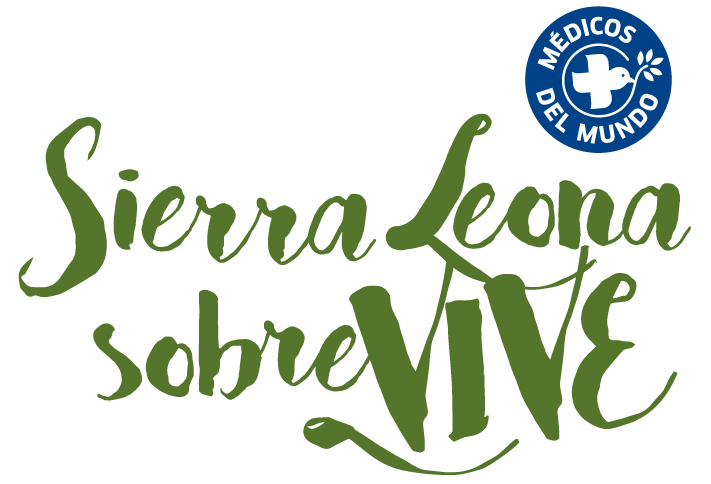 This project, funded by the Government of Asturias (Asturias Cooperation Agency and the municipalities of Oviedo, Aviles, Siero, Langreo and Castrillon) and supported by the city council of Zaragoza, is designed to be a role model for reducing maternal mortality in rural areas in Sierra Leone. Its main goal is to be a multiplier, hence, we have chosen the most complicated chiefdom of Koiandugu with the worst indexes, because by reducing maternal mortality in Neini, we are confident that we can get to the most rural areas of the country. All this with an integrated gender approach: establishing a focus on gender equality, working it from the perspective of health system that responds to sexual violence, following up on cases of domestic violence, raising awareness and promoting equal participation of women and men to improve their health. With the support of the community (informal civil society) and local NGOs (formal civil society) as responsable for social rights, we propose the strengthening of social network and civil society: aiming at capacity building in the matters of sexual and reproductive health and gender violence in communities, against women and vulnerable groups.